When the gavel comes down ‘for the third and last time’ … bang! Then the property is sold. 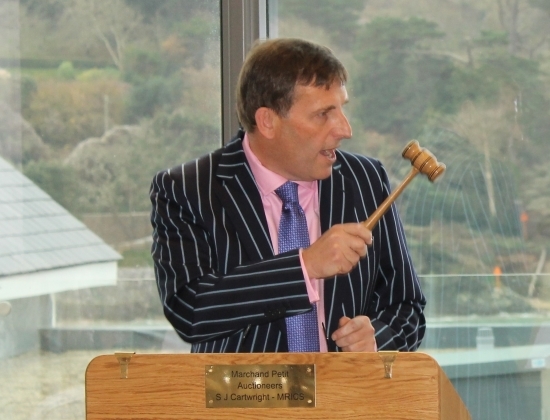 This is the heady world of property auctions and auctioneering that Stuart Cartwright, Director and Chartered Surveyor at Marchand Petit, thrives on. ‘The hammer’, as they say, ‘is the contract’ and as winter approaches there is anticipation in the air as market uncertainty encourages more vendors to explore other avenues for selling their property. The advantages for sellers are speed and certainty but bidding isn’t for the fainthearted. The main attraction of buying at auction is that you avoid the conventional process of house buying, gone are the offer negotiations, acceptance, survey and potential chain situation to tie in before exchange and agreed completion. The competitive atmosphere of the auction room can condense a purchase into a matter of minutes, rather than months. When the hammer falls, you own the property. The golden rule for all bidders is ‘do your homework’. To get a feel for the process visit an auction ahead of time, or cut your teeth at a charity auction. Marchand Petit are delighted to be hosting an Autumn Collective Auction on 23rd November, as The Crabshell in Kingsbridge, with some interesting lots. In the desirable coastal village of Thurlestone, a Grade II listed, thatched cottage requiring renovation comes with a provenience. It was owned by late author Kendall McDonald, who wrote about the restoration in his 1981 book ‘More than just-a-cottage’. So, if you’re up for the thrill of an auction and believe you could have just-a-bit-of-luck to secure a bargain, come along and join in the auction on 23rd November. For further information, or if you are considering auctioning a property, please contact Marchand Petit’s Professional Valuations office on 01548 857588. Want to find & contact your local branch of Marchand Petit?